As you are married, let him know how much you love him on your wedding day and forever. Personalize with names, wedding date and photo to make a one-of-a-kind keepsake for your groom that he will read over and over again. It's tradition for the bride and groom to exchange wedding gifts. If you are searching for a unique and meaningful groom gift, this is it! 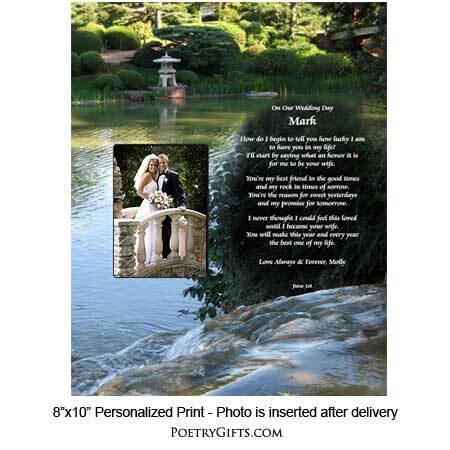 This is an EXCLUSIVE Poetry Gift design. 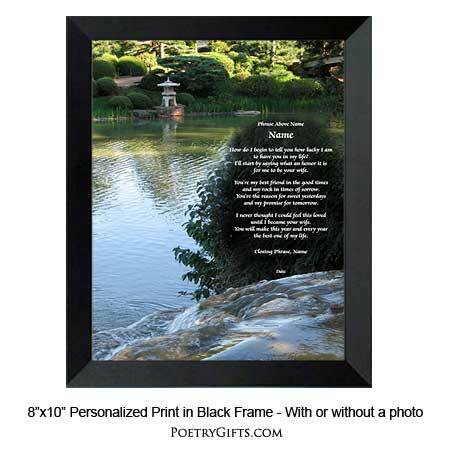 The beautiful water design and heartwarming poem is printed on a quality/specialty paper suitable for framing in any standard 8" x 10" frame. You can frame it yourself or you can choose one of our frames. 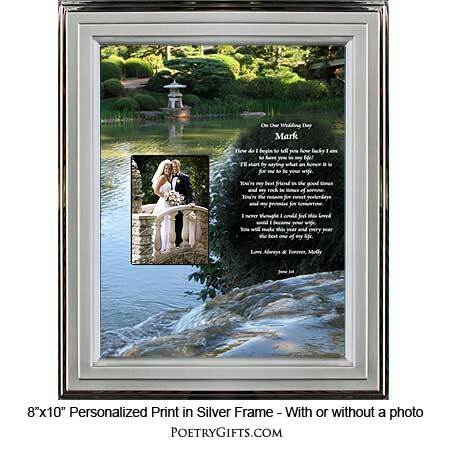 ($19.95 is the unframed price) There is also an opening for a treasured photo of the bride and groom. When your husband displays this wedding keepsake on his desk or dresser, it will be a constant reminder to him of your undying love. 1. 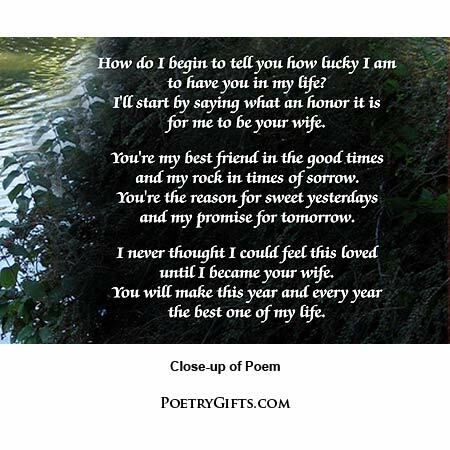 Optional Phrase Above Name - Examples: To My Love; On Our Wedding Day; I Love You; etc. 3. Closing Phrase and Your Name (as seen after poem) - Examples: Love Always, Jessie; Forever, Alyssa; Always & Forever, Cindy; etc.